With superstar free agent Manny Machado sitting on the open market, it was thought that the New York Yankees simply weren’t interested in the third baseman. Reports indicating that the Bombers hadn’t made Machado an offer arose after weeks of radio silence between the two parties. Recently, rumors of a hefty offer being made to Machado has crept through the woodwork. The Yanks have already spent $150 million this offseason to bolster the bullpen and solidify the infield’s defense. 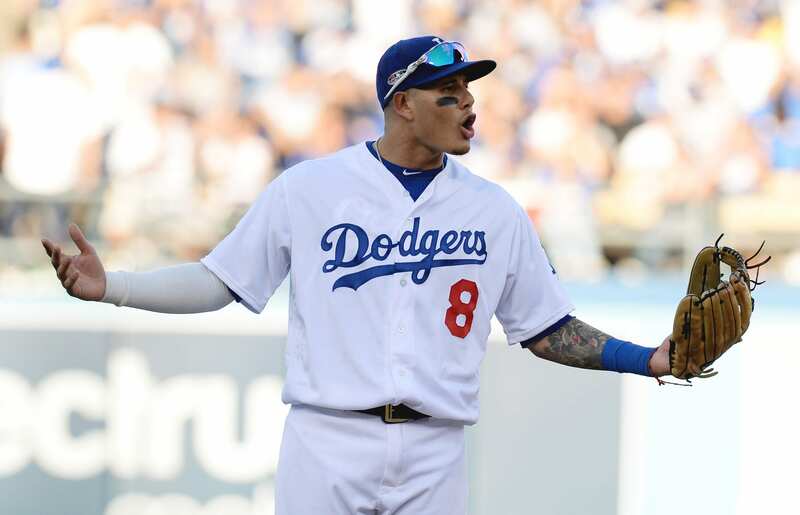 Machado was thought to be a part of those plans, but GM Brian Cashman stated that the team wouldn’t offer him more than $200 million. If these reports are correct, the Yankees have proposed a 7-8 year, $220 million deal. The offer is certainly aggressive, but several other teams are currently hovering around that pay-range as well, with one surpassing $220 million by a fair amount. It could come down to which team Manny likes the most, and we know it’s a dream of his to wear the Pinstripes. With Cashman at the helm, I wouldn’t sleep on a potential deal moving forward, as he somehow manages to find a way to turn dreams into reality. “If there’s a narrative that we’re not spending money and being cheap, it’s just false,” Steinbrenner said Thursday, via ESPN. “I mean, we’re well above $200 million (in payroll) – we’re at $220 (million) right now – and we’re well above where we were last year. Machado, 26, finished 2018 with a slash line of .297/.367./.538 in 162 games. He also smashed 37 homers and earned 107 RBIs. The star player would undoubtedly contribute to a Yankees team that finished towards the bottom of the league in runs-allowed in regard to infield defense. The former Oriole and Dodger has two Gold Glove awards to his name and could fill the void at shortstop for the foreseeable future. All those fans calling yankees cheap are so used to George’s way, “Out bid everyone to get what you what.” I understand, I too am used to having the team get whoever they want. I was pretty angry that we didn’t get Patrick Corbin, but after looking back all the guys we gotten by outbidding other teams. I say about 80% of them didn’t work out as well as we expected, hoped or even thought. Then the fans complained that the team paid too much, that the ‘bum’s not worth it.” or that the team gave the player too long of a contract. Robinson Cano, loved the guy, he went to Seattle for more money. Look at him now, would he have been different if he stayed? We’ll never know. His fault, not the Yankees. Jacob Ellsburry, awesome player for Boston, but nowhere close when he became a yankee. Because of the long contract, we’re still stuck with him. I really wanted Corbin, but he wanted a longer contract. There still some fans that want Manny but Manny want 10 years and I think, around 300 mil. I don’t think player of any sports is worth that much. Other teams seem to think the same, from what I read, the money and years are similar to each others. Sure, if we still had George, we probably have Corbin, Manny, & Harper. I agree with the team on this, looking back, there isn’t many players that finished a 10 year contract well. Very little. Can count the successes on one hand. I mentioned my feelings about so much money for one player. Coming to NY, who knows how they will perform. We had a few top players including Randy Johnson himself that couldn’t handle the everyday pressure of NY. Handling the post season is one thing, you don’t get there often, you get hyped for it. But in NY? You are there half the season and the fans keep track when on the road for the other half. Exactly… and the Yankees already have so much quality youth. They won 100 games last year and retained nearly everybody.. people are crazy. If Sanchez plays average and everybody else does the same we have 110 wins next season. No need for massive contracts that hurt down the road.